School days are upon us again. This means broken pencils and slow computers, late night study-sessions and pop-quizzes, classmate conflicts, “light bulb” moments, and lots and lots of reading. But there’s something even more certain we can count on this school year: “Surely goodness and mercy shall follow me all of the days of my life” (Ps. 23:6). If you are in Christ, goodness and mercy shall surely follow you all of the days of your school year. The bad days and the good days. The days when you fail a test or get left out at lunch. The days when you finish a paper or make a new friend. God’s goodness and mercy are pursuing you like a pair of bloodhounds, each and every day—whether you see them or not. “Goodness supplies our needs, and mercy blots out our sins,” explains Charles Spurgeon. Goodness shadows us, in the halls of our high school or by the kitchen table at home, providing all of the strength, wisdom, perseverance, and patience we need, to help us glorify God. And Mercy’s right behind, picking us up when we fall, pardoning our sins through the blood of Jesus Christ. We may not know what discouragements or delights await us this school year, but surely God’s goodness and mercy will follow us, every single day. Also…in honor of back-to-school, we have some more books to give away from The Good Book Company. 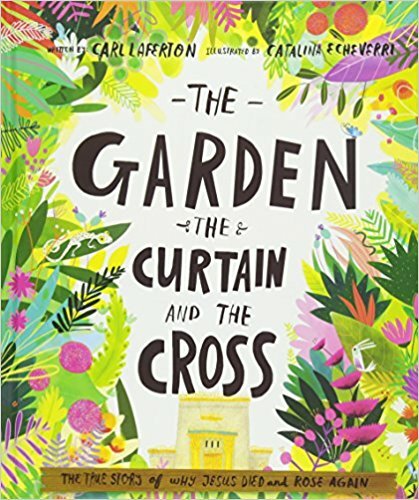 Send us your favorite back-to-school tip, and we’ll choose four winners to receive The Garden, the Curtain, and the Cross, written by Carl Lafterton and illustrated by Catalina Echeverri. Tricia: Ask each child what they hope for/expect from their first semester at school. Then ask how you as parents can be praying for them. Repeat every semester or as necessary. Ashley: Refresh your lower elementary students on their phonograms the week before because they forget a lot over the summer. Kelsey: Make a list of easy lunches to pack so you don’t feel stuck trying to throw a bunch together in a hurry. Also having cupboards or drawers with school only snacks so your kids can help! Christie: My favorite tip is to set reasonable, even low expectations for the year. Start simple and push yourself from there rather than starting out with a bang and ending with a fizzle. I was talking to my friend, Katie, the other day, and she told me that her newborn is waking up every two hours at night. Another friend has a couple of little ones extremely close in age. The older one has stopped taking naps just as the little one is starting to walk. Anyone tired yet? The season of mothering young kiddos can be completely overwhelming. You have a vague memory of a life where you used to accomplish goals and tackle to-do lists, but these days you marvel when you get a shower before lunch time. It can be so easy to get discouraged. The needs of your children are non-stop. So how do you maintain what’s most important? In the wise words of my mother—YOU SIMPLIFY! What are the things we cannot neglect? It’s not a trick question, so I’m gonna give you the answer: our relationship with the Lord, our marriage, and those kiddos we were just discussing. And how do we tend to these priorities when we are up every two hours at night? Here’s nice me giving you the answer again: we create a SIMPLE plan. How can I (simply!) keep my soul happy in God? Maybe you set aside time during your kids’ first nap each day to read God’s Word. Maybe you pray every time you do the dishes. (I have so many dishes, that really would be “praying without ceasing!”) Ask your husband to take care of the children for thirty minutes each morning, so that you can read Scripture and pray. Or you can set open Bibles throughout your house, like Jean Fleming did. 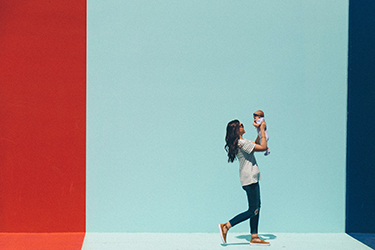 Maybe you use the ESV Bible plan that takes you through the Bible in two years (instead of one) or check-out my favorite ESV Bible plan for Moms with littles. Set a SIMPLE and attainable goal. And how about the wonderful reason you became blessed with all this chaos—your marriage. Once again, SIMPLE goals! Ask your husband what one thing is most important to him in your marriage right now. If pretty much everything else is getting dropped, what does he want you to hang on to? Just start with one thing and make a SIMPLE plan for that one thing. The kids, well there really is one SIMPLE focus when they are young. They need to obey, and we’ve gotta teach ‘em. It’s so easy to feel overwhelmed as we consider all that our children need to learn in order to grow up into young men and women who live as lights in our dark world. But as my mom loves to quote Annie Sullivan as saying—“Obedience is the gateway to knowledge.” For our children, obedience is the gateway through which we can bring them the great gospel story. 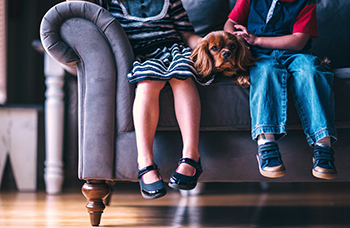 The exhausting and all-consuming season of caring for little ones is just that—a season. Your kids will grow and you will be able to indulge in more complicated plans with little extras like showers in the morning. But until then, take a nap and make yourself a SIMPLE plan. The other day, one of my sons asked if I liked a certain music artist he had heard about from a friend. “I like a few of his songs,” I told him. “A couple of them are beautiful, but some of his songs are not God-glorifying.” This spun off into a conversation with my two boys about music. 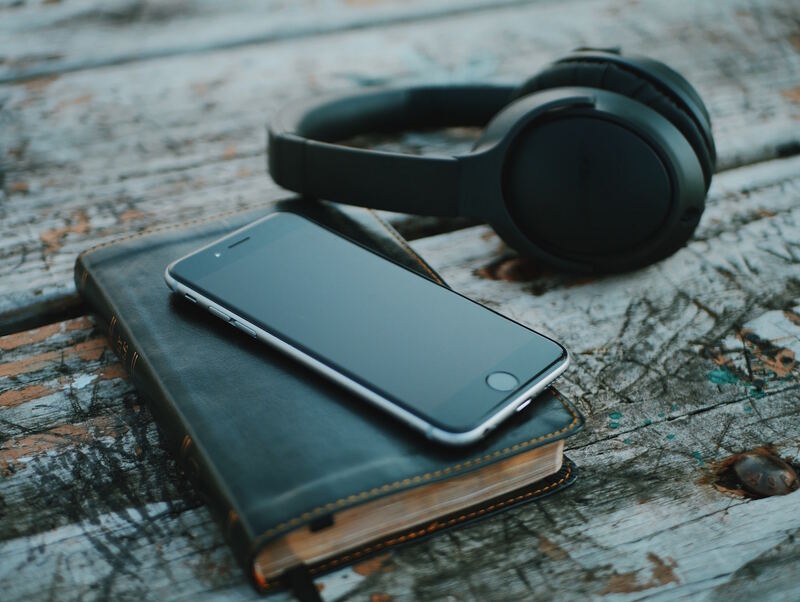 How do we help our teens discern whether or not a song is godly? As I told my boys, there are many helpful questions we can ask (thank you, Bob Kauflin! ), but one way we can determine if a song is God-honoring is to ask: “How does this song make me feel?” I know, I know, it sounds like I’m throwing open the doors to whatever music we “feel” like listening to. But hang with me for a moment. God gave us feelings to motivate us. Emotions move us to action. We feel happy and so we laugh, we feel righteous anger and we defend, we feel compassion and we help. And music? Music stirs up the feelings that move us to action. This is the ultimate purpose for the gift of music: to stir up emotions that move us to God and godliness. We sing praises and play instruments, in order to excite feelings that move us toward God. So if this is God’s purpose for music, then it is vitally important that we ask: “How does this song make me feel about God? How does this song make me feel about godliness? And how does this song make me feel about sin? Or, more broadly, think about the kind of music you like to listen to. Does the music on your playlist leave you more angry at others, or grateful for God’s goodness? Discontent with your life or desirous of doing good? Hating sin or loving righteousness? How does your playlist make you feel? Better yet, does the music you listen to make you feel the way that God wants you to feel? As I told my boys, a song may not contain any “bad words” but still be bad if it stirs up emotions that warm your heart toward sin. A song’s meaning may even be vague or the words enigmatic, but if it stirs up arrogant, selfish, or lustful desires, then it is ungodly. On the flip side, a song may not mention God or his Word, but the words and music together generate feelings of awe at his beauty and majesty in creation, shame for sin, or selfless love for others. This is a good song. Like medicine through an IV, the music that flows through our children’s earbuds affects every part of them—including their emotions. And their feelings, in turn, influence how they act and think. If we are to be wise parents, we must not simply tell our children not to listen to ungodly music (although we must tell them that!). But along with biblical boundaries, we must also help them curate a music playlist that stirs up and promotes godly emotions. Asking “How does this song make me feel?” doesn’t lower the standard, allowing a flood of ungodly music into our teens’ libraries. Rather, it raises the standard higher—for them and for us. Music that is pleasing to God is music that generates godly emotions.